The kitchen is the heart of any home, and it’s the one place the whole family goes to eat their meals and tell each other about their day. It’s also a key room to change when it comes to adding value to your property if you want to sell your home in the future. 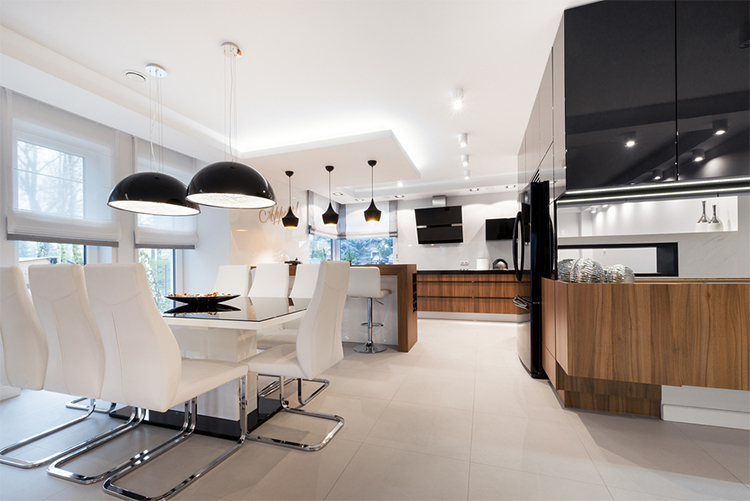 It’s important to think about the layout of your kitchen and how the room functions. Could you rearrange your existing appliances or does the plumbing in your house dictate where certain things need to be? Sometimes just changing the positioning of your kitchen table or furniture can transform the layout of your room and make a difference to the entire functionality. The last thing you want to do is renovate your whole kitchen and still face similar layout issues down the line. Often when you think of renovating your kitchen, the first thing you think of is replacing your worktops and cabinets. If you are trying to save money though, it’s much cheaper to just restore the kitchen you have. The largest portion of a kitchen renovation budget usually gets spent on cabinets, so try recycling them first by painting them a different colour or giving them a whole new layer of varnish. You may be surprised by how much of a difference upcycling can make in the grand scheme of things. If you want to save money on your kitchen renovation then it’s important to look around when it comes to buying new appliances. Stainless steel is popular for modern kitchens, and there are lots of different places that will offer you a good deal on your requirements. Shop around to find a good deal on the kitchen design you want, and if you are going to buy more than one new appliance ask for a discount. You can also find good second hand deals and many places will have seasonal sales. It’s all very well getting excited about renovating your entire kitchen, but you need to know your limits. You may dream about ripping the room out and starting from scratch, but you need to be realistic. Take the renovation one step at a time and work through your budget to see what’s possible with the money you have. Think about whether you want to replace a few appliances at a time, give the walls a new lick of paint or merge two rooms into a kitchen diner. The floor is the largest space in the kitchen, and changing it up can make a huge difference. Think about the different colours, textures and materials you want to use, and work out what fits into your budget. Marmoleum is a good option, as are sticker tiles designed to mimic the look of wood. Porcelain tiles are also a popular choice, as they are easy to clean and look really smart.